Screen capture is something that is becoming more and more important these days. While in the past, the word “screen capture” was used to allow the users to take a screenshot, in modern day and age, screen capturing refers to capturing video on your computer, or a mobile phone device. Now that we are talking about capturing video, you need to understand that Windows 10 did not have this feature as a native before. But with the updates, they did introduce the update, but it was largely for the gaming part of Windows 10 and not a universal feature. 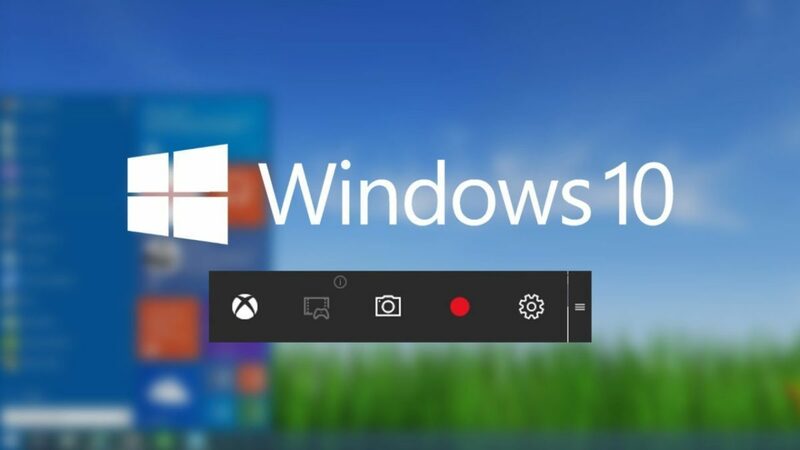 Still, screen capturing a video through Windows 10’s Game Bar is always a possibility, and for those who are looking for a quick, easy, and a free solution, this method works like an absolute charm. 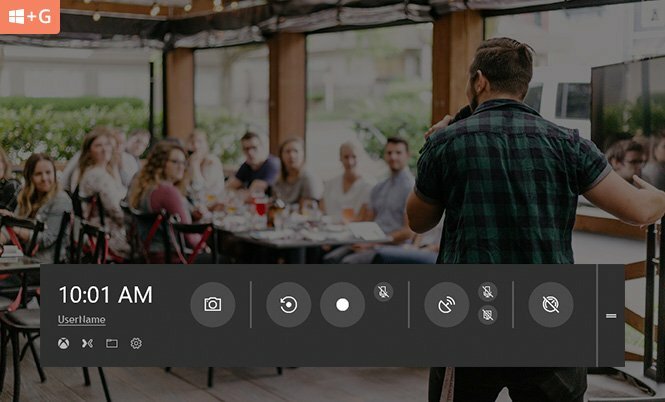 If you too are thinking about screen capturing, there are two methods that I would suggest; the first one is by using the Game Bar that is a feature of Microsoft’s Windows 10 and then with a more premium method that also does come with a lot of different benefits. 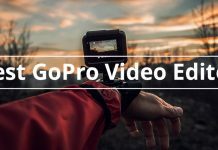 Before we move onto the benefits of using a premium tool that you can use to capture video, we are first going to take a look at the default method of recording a video. So, let’s not waste time and have a look, shall we? Almost every Windows 10 version has the Xbox app built in, but if your version does not, you can simply download it from the Windows Store. With that out of the way, before you proceed; just make sure that the Xbox app is set up, otherwise, the Game Bar will not appear. Once done, you can follow the simple tutorial below. Step 1: Open Game Bar by pressing Windows + G key on your keyboard, and then select “Yes, this is a game” checkbox. The Game Bar will now appear. Step 2: The next step would be to customize the settings, for that, you will have to go to Windows Settings, and then open Xbox App from there. Then click the Settings button, and choose the Game DVR option. 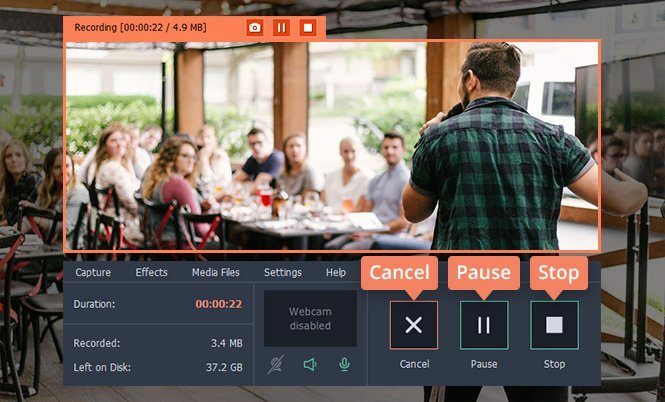 From that point, you can select a number of features such as the video quality that you want to record, audio settings, as well as how long you want your recording to be. Step 3: Once that is done, the next step is to start recording. 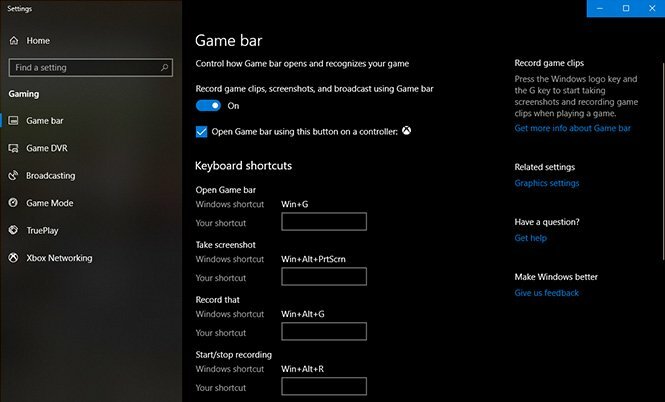 Simply press Windows + Alt + R key for recording, or just hit the Red record button that will be on the Game Bar. This will initiate the recording process, and the Game Bar will become a floating widget on the upper right corner of the screen. You can even take screenshots by using the Windows + Alt + Print Screen button or simply click the camera icon that is found on the Game Bar. Step 4: Once the recording is tone, you can simply stop the recording by clicking the red button, or by pressing the same key combination you pressed to start the recording. All the videos are saved in the captures folder which is located in C:\Users\<user name>\Videos. By following the method above, you will easily be able to record the video on your computer without buying a third party software. However, if you are looking for a better way of recording video, you can simply check the rest of the article. Although the native screen capturing method is really effective mainly because it is free, and does everything you would expect from a good screen capture software. The DVR is still not the best screen capture method available. We are now going to explore some reasons as to why the premium screen recording solution is much better than the native option that Microsoft has given you. One of the simplest reasons why you should choose a premium solution over the native option is because you get a heap of options available. From everything to choose which portion of the screen you want to record, to the frames per second, as well as the bit rate. Simply put, you get really granular controls over how you want the video to turn out. Another great reason why you should choose a premium screen capture tool over what is standardly available in the market is that you get to choose between different formats. If you are wondering what I mean by this; it simply means that if you do not want the standard MP4 format, you can choose something else. 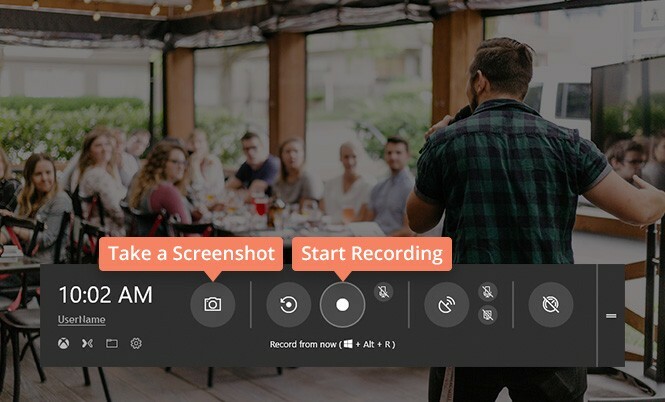 If you are a YouTuber who prefers recording him or herself whenever you are recording a screen capture, the good news is that with a premium screen capture tool like the Movavi Screen recorder, you can easily do that. It is really convenient because you will not have to edit the video before. 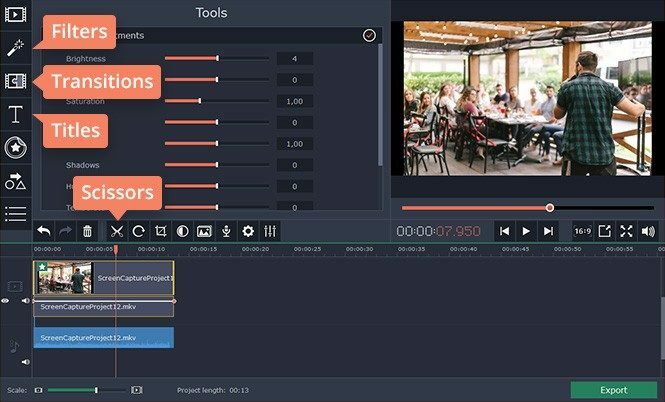 Another great reason why I would suggest you to use a premium screen capturing solution is that you get powerful editing tools. When I say powerful, I do not mean Adobe level of granular controls, but there are enough tools to keep you entertained for long enough. Plus, with every update, you keep getting new features. Although Microsoft is slowly bringing in new features in its screen capturing software, the important thing that you need to know here is that it takes a sweet amount of time before the new, and important features even make their way to the software itself. That is because Microsoft has to focus on a lot of different aspects at the same time. With premium solutions, there is nothing to worry as far as the updates are concerned. The developers are constantly looking forward to improving the software experience, and not just that, they are actively listening to community feedback, which means that your suggestions never go to waste, as the developers to listen to them, and if the need arises, they use the suggestions given by the community and improve the software. Let’s see how you can record your screen using a much more premium option there is. So, let’s not waste any more time and have a look, shall we? Step 1: The first step that you need to do is to download the software. Step 2: Once the software is downloaded, simply go ahead and install it. Step 3: Launch the screen capture software after it is done installing. Step 4: Once the software launches, you have to capture the screen. In order to that, simply select the Record Screen that is displayed in the launch screen. For your convenience, there are different Capture Area presets available. You can even create a manual area should you choose to. Once that is done, simply click the Rec button, and the software will start recording after 3 seconds. You can even click the pause, stop, buttons during the recording process is going on. Step 5: Once you are done recording the video, the next step involves editing the video. Now, this is an entire option step, but still, it is necessary that we cover this feature as well. 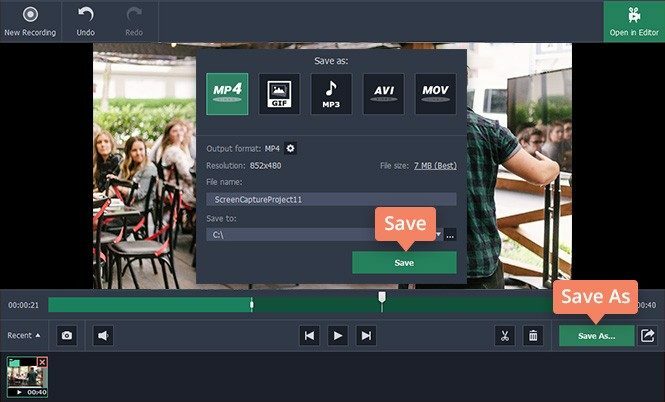 Users get access to a fully featured video editor that they can use to edit the video without any issues. Once the recording is done, simply click on “Open in Editor”, and you will be taken to the video editor where the video will be added onto the “Timeline”. You can use different options such as scissors to cut video. Additionally, you can even correct the brightness, saturation, contrast, and a heap of other parameters without any issues as well. Last but not the least, you can even add filters, titles, as well as transitions to make your video even better. Step 6: Once you are done with the editing process, you just have to go ahead and save the video now. You can save it in whatever folder you like by simply clicking on Save As, and choose the destination that you prefer. 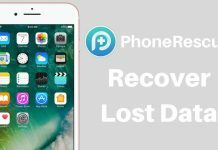 If you are on the market looking for a good screen recording software, the thing you need to know here is that you will find so many options that you could be easily confused. However, the important thing that you need to take care of is that you always go for the best possible option there is. 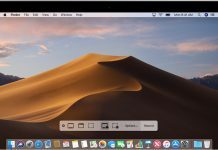 Although Windows is trying its best to bring in new features in the native screen capture software, it is still not up there on par with the premium solutions like the one that we have mentioned in this tutorial.